Everyone likes a quick and easy photography upgrade, and particularly one that is cheap, easy to use, and makes an immediate impact on your photography. A remote shutter release fits the bill. 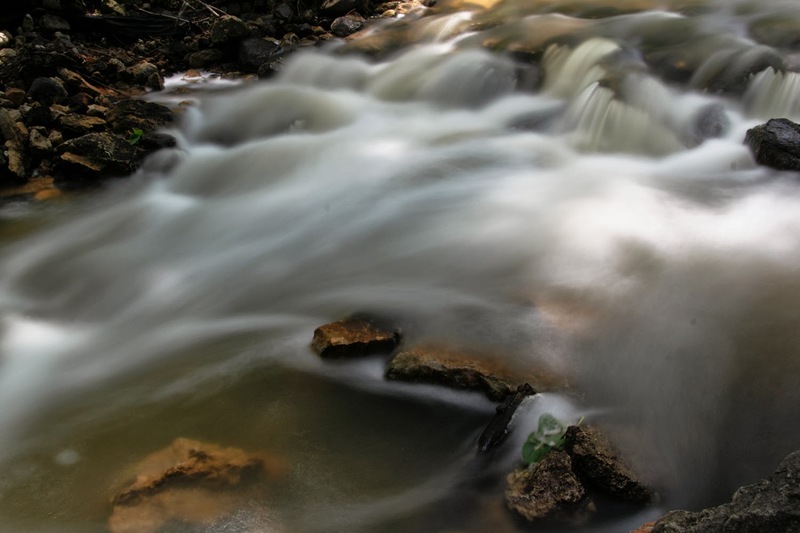 This silky water photograph was shot with a corded remote shutter release. There are many different varieties of remote shutter releases, but let's start with the most common. 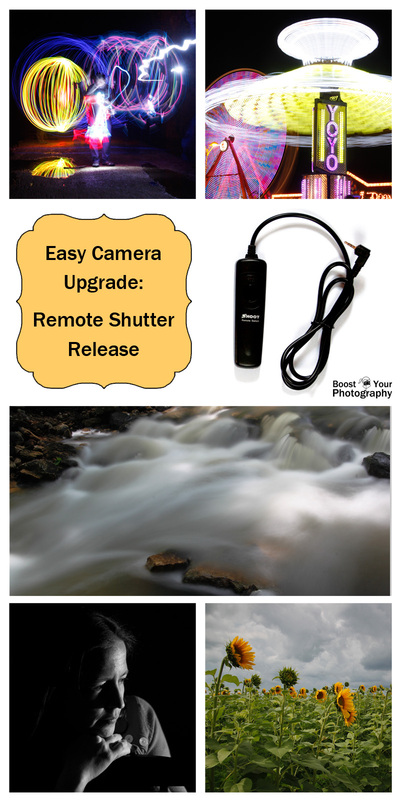 A corded remote shutter release plugs directly into a slot in your camera body and allows you to operate your camera's shutter. The basic version of this style of remote can be had for less than $6 USD. 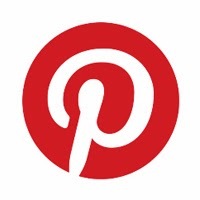 The one shown below is a generic brand that works with Canon Rebel cameras. There is also a version that works with Nikon cameras. This SMDV remote for $15 works with more advanced Canon cameras. The remote works just like your shutter button: pressing the button halfway will lock the focus, while pressing the button down completely will take the picture. The final feature of this style of remote is the ability to lock down the button on the remote. This is useful in two ways. First, you can use the shutter with your camera in the ‘Bulb’ setting, and locking the button down allows you to shoot for an indefinitely long shutter speed until you unlock the button. Second, when the shutter is locked down, your camera will continue to shoot photographs, which is useful if you want to shoot a continuous series of photographs. There are many different kinds of remote shutter releases. More advanced corded models allow you to shoot in specific intervals (amount of time between taking pictures) or specific numbers of photographs at a time. Cordless remotes allow you to trigger your camera from further away using either infrared (IR) or radio frequencies (RF). IR remotes may require a clear line-of-sight to the camera to work effectively. (If you are using an IR cordless remote while standing behind your camera, you may have to reach over in front of the camera and avoid getting your own hand in front of your lens. Some cameras have sensors in the rear as well to solve this problem.) Advanced cordless models like the Vello Wireless ShutterBoss utilize RF technology to trigger the camera with a range of 250 feet and no need for line-of-sight. 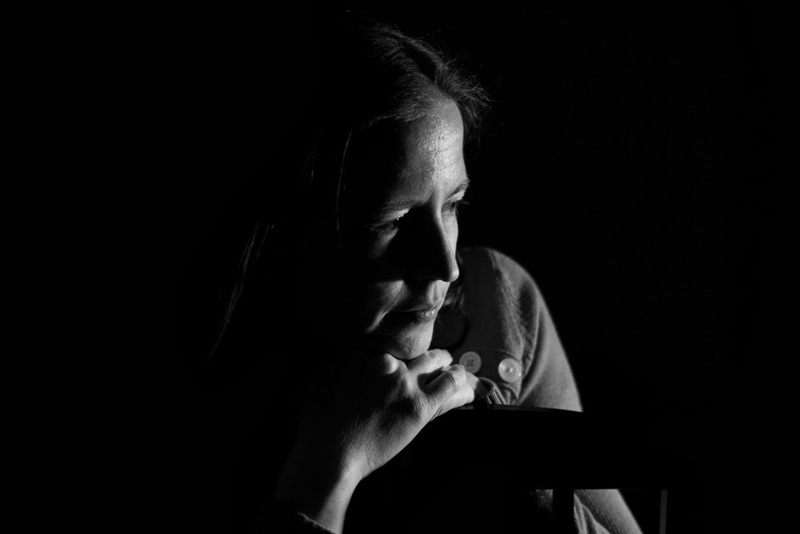 Why Use a Remote Shutter Release? A remote shutter release was used to focus and then take this photograph. I shot this field of sunflowers using a tripod and a corded remote shutter release, because I knew that I wanted sharp, focused pictures and wanted the flexibility of using longer shutter speeds than I could handhold without adding movement. The tripod also allowed me to shoot a bracketed series of shots and determine my favorite exposure later. (For more on exposure bracketing, read All about Exposure and More about Exposure: how to fix common exposure problems.) This individual image was shot at f/11, 1/160, ISO 100 and was one full stop underexposed (-1 on the exposure compensation scale). 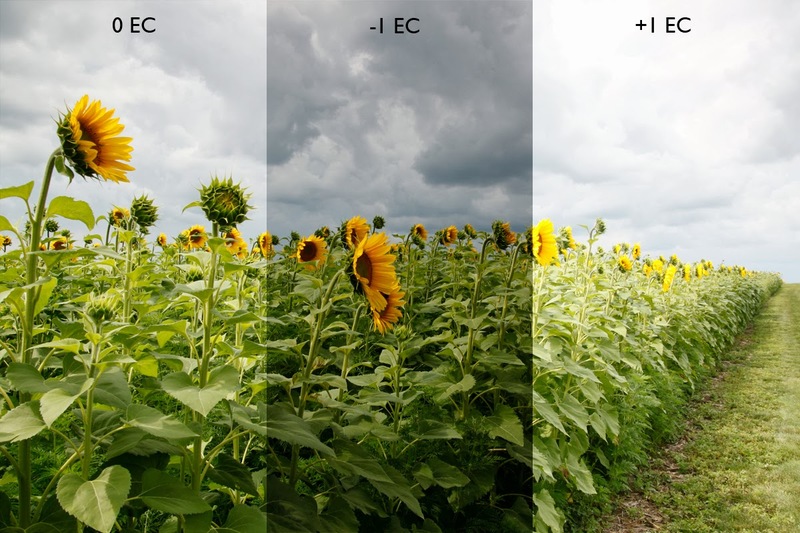 These are the three images returned by using exposure bracketing (from left to right, 0 exposure compensation, -1, and +1). The tripod combined with the remote ensures that all three images are composed exactly the same. I simply had to hold down the remote until I heard the shutter click all three times and then release. 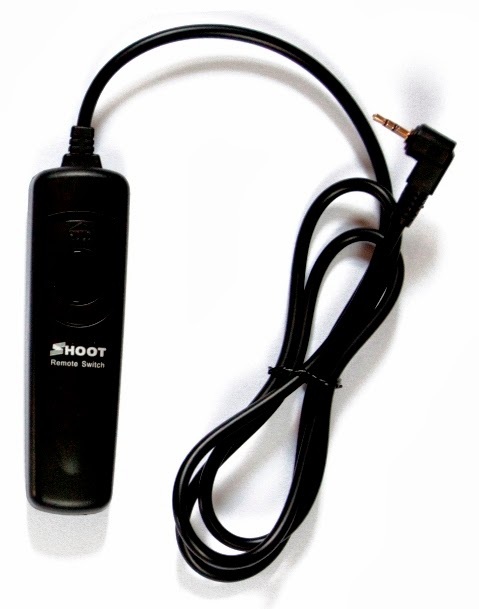 A remote shutter release also allows you to lock the button down and take a continuous series of photographs. This feature comes in handy when you are shooting a rapidly changing situation and want to be constantly shooting and not changing your settings. The series of photographs above were shot at f/5, 30-seconds, and ISO 400. After dialing in these settings in manual, I used the remote in the locked down position to continually take pictures. This gave me the freedom to get out my LEDs and get into the picture myself. (I am responsible for the blue and red lights. You can read more about light painting and how to spin an orb here.) With the shutter safely locked down, I knew that the camera would keep taking pictures as long as I needed. A remote shutter release is a cheap and easy photography upgrade. For the cost of a cup or two of coffee, you can get a corded remote and access to all kinds of new photography opportunities. See if it doesn't change how you shoot landscapes, self-portraits, long shutter speed images, and more!